These powerful LED lights make you stand out from other road users and help light the road on dark nights. 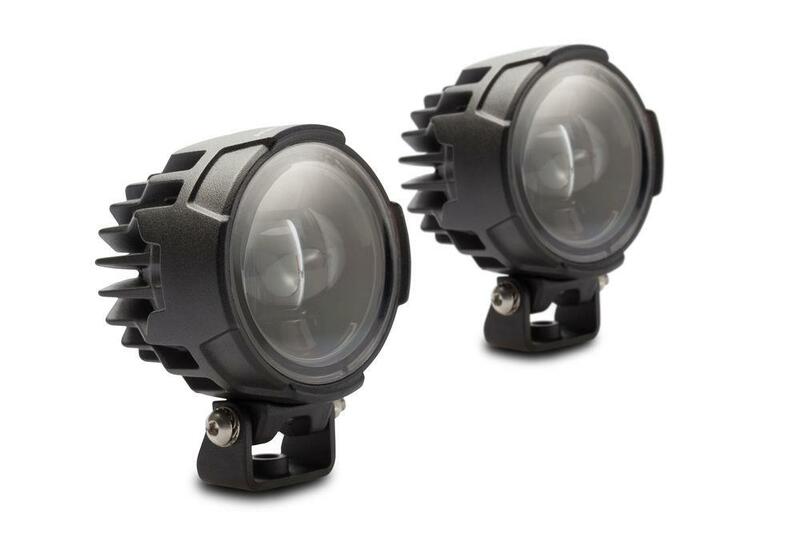 Long lasting and maintenance free, the SW Motech Evo Spotlamps are housed in a100% waterproof, tough aluminium casing, and come with a handlebar switch and full fitting instructions. The lamps are available in either 275 or 375 lumen variants, and cost £271.99.